Laura Asiala is a Senior Fellow at PYXERA Global after spending several years as the Vice President of Communications & Public Affairs. Passionate about the power of business to solve-or help solve-the world's most intransigent problems, she leads the efforts to attract more participation of businesses to contribute to the sustainable development, through their people and their work. She serves on the Board of Directors for Net Impact, a community of more than 40,000 student and professional leaders creating positive social and environmental change in the workplace. Laura is also a member of the Advisory Board for the Sustainable Entrepreneurship MBA Program at the University of Vermont. 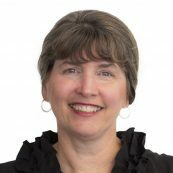 Laura's thirty year career in international business included roles in finance, marketing, business development, HR, branding, and communications, and corporate social responsibility. Prior to joining PYXERA Global, she was the Director of Corporate Citizenship at the Dow Corning Corporation where she led the development of their international corporate volunteer program (Citizen Service Corps) and oversaw CSR strategies and relationships, including the company's public-private partnership with the Global Alliance for Clean Cookstoves (a UN Foundation, US State Department & Clinton Global initiative). Laura holds a BA in economics from Alma College and a MS in Organizational Development from Case Western Reserve University.